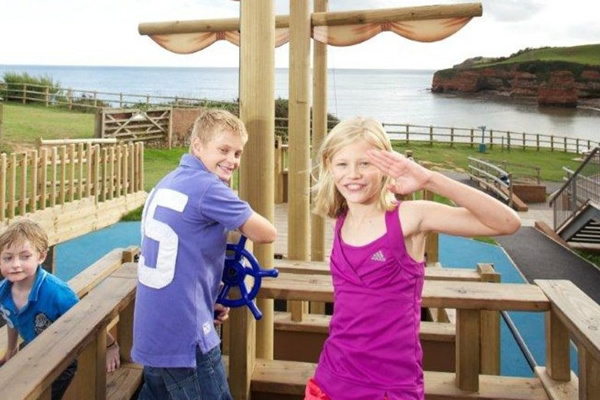 Children’s Facilities Activities at Ladram Bay | Plenty of fun! 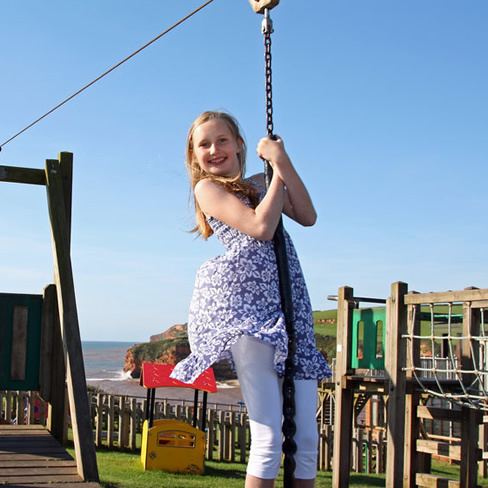 Children love the attractions at the Three Rocks too. There is a lot to keep themselves amused, leaving you safe in the knowledge that they're having plenty of fun whilst you relax! 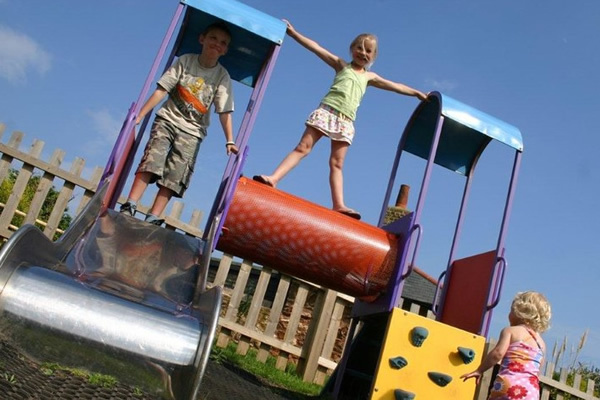 Too young for the main adventure playground? Next to the adventure playground is the under 7's play park, so the youngsters can keep themselves amused at the same time as well! 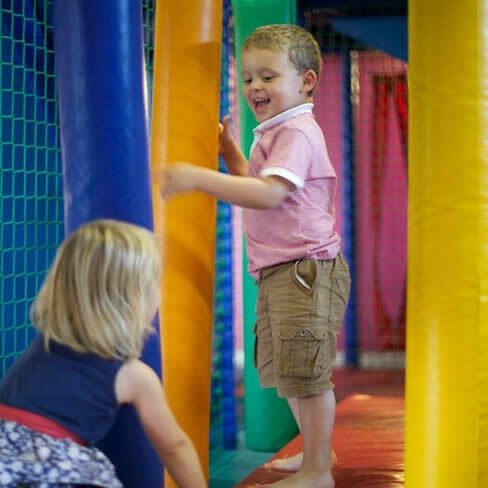 Our soft play centre, for children under the age of 12, is located on the second floor of the Three Rocks, adjacent to the amusements arcade. It is a great place to use up some energy come rain or shine. The pirate theme continues with each step, slide, ramp and bridge all leading the way to the hidden treasure. There is also an area for under 5's with shapes and puzzles. 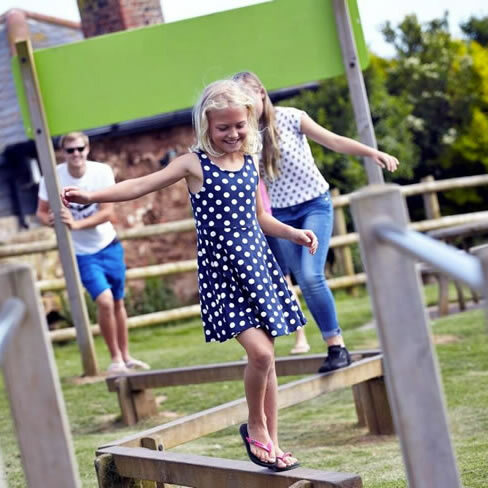 Whilst the children are playing safely adults can enjoy a coffee in the adjacent Pebbles Bar whilst watching their little ones have hours of endless fun! Brand new climbing wall. Located in the Three Rocks Complex the wall contains 14 different climbing routes over 83 square meters of wall. Who doesn’t like Adventure Golf? It is a great family activity that puts your putting skills to the test on the challenging course. Each round of golf is only a small additional cost and if you manage to ring the bell on the last hole you will win yourself a free round!